The ever-fabulous Tatiana at Tatiana's Delights on Facebook has come up with a brilliant shopping opportunity (as if we need an excuse...) for us ladies who like the Duchess of Cambridge's style. 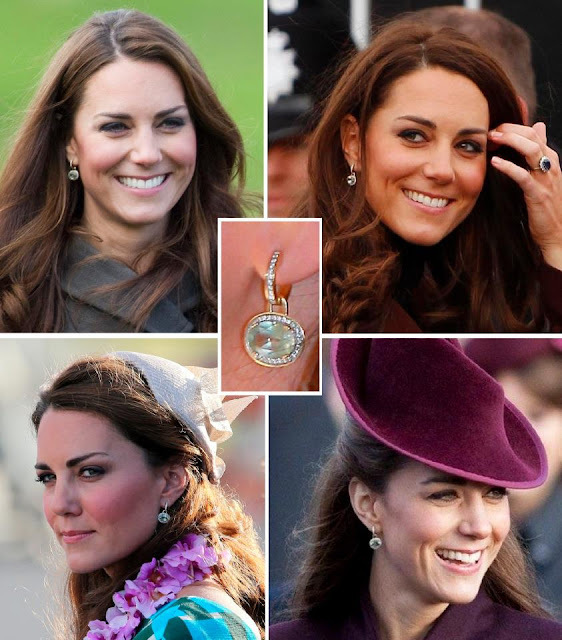 Teaming up with her tailor, based in Shanghai, she managed to find a Chinese factory which is willing to manufacture an exact replica of the green amethyst and diamond earrings, which were originally custom-made for the Duchess by upmarket jeweller Kiki McDonough. I'm really excited about this opportunity, as a repliKate of these particular earrings has seemed rather elusive so far. 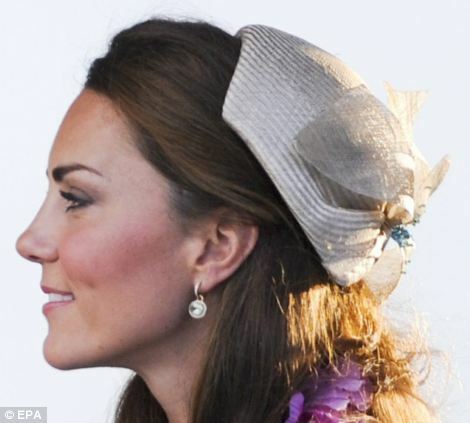 In fact, we've seen copies of pretty much every piece of jewellery sported by the Duchess since her wedding sprouting up after her every outing, bar of this one, gorgeous pair. The deadline for placing the order is next Sunday, 17th March, and we really need to bring together at least 50 people who are interested, because it wouldn't be profitable for the company to make less. So, log on to your Facebook page, read carefully all the instructions on Tatiana's note (for which you can also see below, after the photos!) and GO ORDER YOUR PAIR NOW!!! This is a once in a lifetime opportunity for Kate fans everywhere, don't let it pass you by!! Aren't these just totally gorgeous?? 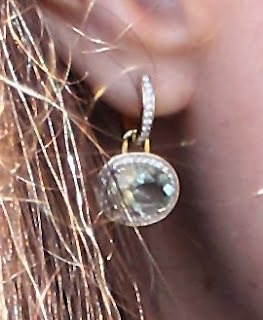 In this note you can find more information regarding how to get factory made replikate earrings of Kate's KikiMcDonough green amethyst earrings. 1) The earrings will be made by a factory in China. My tailor over there will communicate with the factory to arrange the order. 2) The order will consist of 50 pairs. Since I am not a business I am not able to pay for this entire order in advance all by myself, which means 50 people will need to order a pair of earrings in advance to me. 3) The deadline for ordering will be Sunday 17 March 2013. 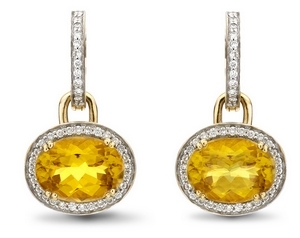 4) A pair of earrings will cost US$ 49 INCLUDING shipping (to everywhere in the world). For those who also want to order for a friend etc: the price for two pairs of earrings will be US$ 90 including shipping, and for three pairs will be $132 including shipping. 5) The earrings will be made of gold colored metal, with one large light green oval crystal and lots of small clear crystals. (So the earrings will not be gold plated or gold, and they will not contain real green amethyst and/or real diamond, just to be clear :-)) The earrings will be made for pierced ears. No exeptions to the above can be made by the factory I am afraid. The earrings will consist of a gold hoop filled with clear crystals and a detachable pendant with the green crystal in a gold setting and also with clear crystals around it. So you can also change the earrings once in a while and wear the hoops with freshwater pearl pendants (like Kate does sometimes). 6) When after the deadline the goal of 50 people is reached I will place the order with the factory and then it will take between 2 and 4 weeks before all the earrings are done and will be shipped (depending on the waiting list at the factory). After that shipping will take 15-20 days via normal airmail (which is included in the price). So when you order now, you will receive the earrings somewhere between 14 April 2013 and 12 May 2013 (but that's a worst case scenario. Of course I will keep everyone who ordered regularly updated!!! 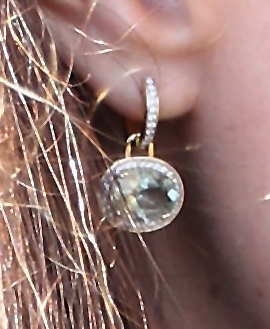 7) If, after reading this, you are interested in ordering one or more pairs of Kate's green amethyst earrings replikates, please send me a personal message containing the following information. - How many pairs you would like to order. After I have received all of this info I will let you know my paypal account and you can transfer the money to me. I will of course send you a confirmation message when I receive the money. After I have received the money I will add you to a closed facebook group where everybody who ordered the replikate earrings will be updated. - Fill in the form and make sure you tick the box 'I PAY THE COSTS'. And please don't forget to also add your facebook name and your address to the descriptions field below!! !